Thermostats are used in just the same way that a typical thermostat is used except with a zoning system there is ONE thermostat located in each area or “zone.” Instead of connecting these thermostats to the equipment like a typical application, with zoning all the thermostats are connected to the Zoning Panel. Suggest purchasing on Amazon.com or from wherever 24VAC thermostats are sold. Not only are the thermostats connected to the Zoning Panel but so are the dampers. A damper is to airflow in the duct like a faucet is to water in a pipe. 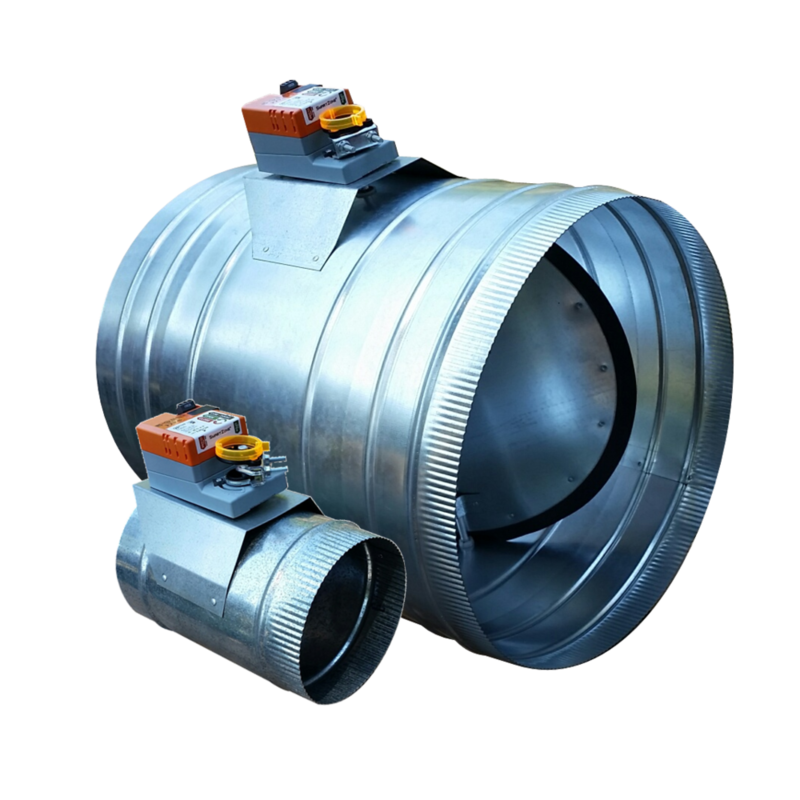 In other words, the damper acts like a valve in the duct system to divert air to the zones where it is needed. Finally, the Equipment is also connected to the Zoning Panel. The equipment refers to the heating and cooling (HVAC) unit. This can come in many shapes, sizes, and configurations. In order to apply zoning to any equipment, the correct zoning Panel mush be chosen. Some Zone Panels are very specific and can only be used with certain types of equipment while some are much more versatile and can be used on almost ANY type of equipment used. The above four parts make up the pieces of a Zoning System, but since in a standard system you already have two of these parts (THERMOSTAT and EQUIPMENT). The addition of a zoning system really consists of adding only two different parts, a ZONING PANEL and DAMPERS. This makes zoning one of the easiest and affordable ways to gain the much desired improvement of comfort and efficiency. With these parts installed properly a user can enjoy the ability for both added comfort and increased energy savings.